We love receiving reviews from our Pre Loved and Business Stallholders after our events, see what they have said about their experience at our recent Markets below. Just wanted to say how much I enjoyed having my first stall at the five dock market on the weekend. The whole process from booking to set up was so easy and the support group with selling tips and info on the community page was also so helpful. Had such a successful day (my husband was very impressed with how little I brought back home!) and can't wait for next year's market! What a great event, for a first time stall holder I was highly impressed with how organised and successful the markets were. Great quality, excellent bargains I will definitely be back again both as a shopper and stall holder. Thanks for a great market on Sunday Newcastle! I had a great day and met lots of families! Can't wait to come back in 2019! It was my first time having a stall found it a great success. I'll certainly be booking in for next year's dates. Thank you for the opportunity to declutter my house and make a bit of pocket money! I had a great day - so many mums and mums to be grabbing a bargain. I sold mainly baby things and lots of beautiful clothes (size 0000-0) brands such as Bebe, Fox & Finch, Marrquise, Seed, Ralph Lauren, Wilson & Frenchy, GAP etc. Thank you for organising such a successful day! We are so pleased to have sold our baby goods that were taking up space in our home, now other parents and children can enjoy them! Here are a few photos of us before we almost completely sold out! Thank you for a fabulous market yesterday. I just booked a stall for the next Market at Bernie Mullane, Kellyville. I enjoyed myself so much yesterday! 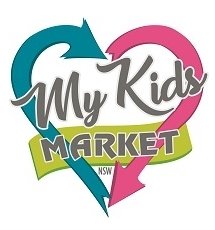 Just wanted to say thank you very much to the My Kids Market team for making our first market such an enjoyable experience. The whole event was so well organised, from booking our stall to keeping us well informed throughout the lead up period, to the amazing facilities on the day. We were very impressed! We were thrilled with our sales, helping to declutter our homes and make some cash. Everyone we met was lovely and we had such a fun morning. We will definetely be back!. Many thanks. I just wanted to say a huge thank you for everything at the Central Coast Market. This was my first Market and was even tougher as I wasn't selling a product or secong-hand goods. I have to say that it was ran so well and so smoothly from start to finish. I love that you kept informed via email the whole time and on the day - I can't fault it in any way and will definely be back again next year! I had such a great response to my business and it was great to be able to talk to so many soon to be mothers at the markets - so again, Thank you!